Welcome to the community @AMF! Glad you could make it, you seem like you’re be an excellent fit for our community! I’m curious about who your friend is, and what involvement you’ve had in the fandom elsewhere, if you feel like sharing! Thank you! I’m not sure if the friend in question actually has an account on here, but I post a lot about When They Cry on Instagram so he must’ve seen the forum somewhere and thought “Wow, she’d like this”. If you’re really interested, I’ll ask him if I can put up a link to his Instagram account. Other than that, I’ve mostly just been wandering YouTube and meeting people on there to chat with for the past couple years, occasionally uploading a cover of questionable quality. Unfortunately, YouTube doesn’t encourage spoiler warnings, and most of the comment sections turn into a mess after a while, so it isn’t the best place to have friendly conversation. Ahh I see. It’s nice to see people who may not even use the site think well enough of it to recommend it to others. For sure though, Youtube definitely isn’t the place to find much of a community! Hopefully with our forum and Discord chat, you’ll find yourself calling this place home in no time at all! Things are a little quiet now but we might be reading Higanbana as a community in the near future, so keep an eye out for that! Welcome to Rokkenjima, @AMF! You sound like quite the veteran for both Higurashi and Umineko! Since you a veteran, I recommend checking out the spoiler threads, which are separated by Higurashi arc and Umineko episode! Of course, you can also talk about your favorite scenes for both Umineko and Higurashi, as well as talking about the moments in Umineko that have led you to crying. You can also talk all about your favorite characters, as well as the characters you are most similar to. We also have a Ryukishi appreciation thread, as well as a thread where we ponder what questions we would ask him if we were ever lucky enough to meet him. Probably the best way to get involved here is to check out our tea parties! These are when we all get together and read (or reread) the Steam rereleases of Higurashi and Umineko! You can catch up on our prior tea parties by following along with the spoiler free threads or listening to our lovely podcasts (which if you want to help host, you can). The next tea party will probably be on Higanbana, so I think you should totally read along and post your thoughts in the Higanbana thread once that tea party is officially started! At the moment we are taking a little bit of a break from our tea parties, so now is probably the best time to catch up on all the past discussion! You can also check out our threads for Rose Guns Days, Iwaihime, Hotarubi, and TRianThology! We also have threads for all the latest news concerning Kai and WTC5! Of course, there’s a lot of other fun stuff to do here too. We have threads all about gaming, Touhou, writing, reading, music, sharing your pets, even talking about pizza! You mentioned being an artist, so you may also be interested in looking at/posting fanart! There are fanart threads for Higurashi, Umineko, Rose Guns Days, Higanbana, and Hotarubi! And since you like singing, you might want to check out the “You” chorus that some of our lovely members participated in. I’m really glad you could make it here! I think you’re really going to enjoy it here! Hello everyone! I am Seiichi. I live in norway and I love 07th Expansion’s work like Higurashi No Naku Koro Ni and Umineko No Naku Koro Ni and few more. I watch anime which I usually do. But I also play MMORPG games and watch movies, I am a superhero geek myself, just let you know that. But I do always crawl in youtube and meeting people like comment sections. I am pleased to meet everyone here. Hello @Seiichi9000! Welcome to Rokkenjima! We have plenty of Umineko to go around, both for those new and returning to the story! The same goes for Higurashi, so feel free to post your thoughts in the spoiler or spoiler free topics! There is also a newly translated Higurashi arc called Someutsushi! It’s a fun little read for both new and veteran readers, so I recommend checking it out! Now is also a really great time to check out our past tea parties, as we taking a little bit of a break from them. So far, we’ve covered all of the Steam rereleases of Higurashi and Umineko! You can follow along by reading all of the posts in the spoiler free sections or listen to the podcasts (which you can help host)! Our next tea party will likely be on Higanbana, so if you haven’t read Higanbana yet, I recommend reading it along with the rest of Rokkenjima once the tea party is started! Reading is a lot more fun when you have friends to discuss theories with! Of course, we have other ways to get involved too. You can talk all about currently airing anime, video games, share your MyAnimeList, share your VNDB list, other visual novels, talk about your favorite movies in general, what you love about animated movies, talk about books, there’s even a thread all about caffeinated beverages! I super hope you enjoy it here! Now, go post elsewhere and make some friends! I promise you, Rokkenjima is a lot more friendly than the YouTube comment section! @Aspirety, @U4ea Thank you! I already feel very welcome here. It feels like a really nice community. Hey everyone! I’m the friend in question. If I know anything about AMF, it’s that she’ll be way more active on here than I am, har har. Thanks for welcoming her! Hello everyone, I’m Illusionist (or SuSoSo, as my name is subject to change) and I hail from the Midwestern United States. My personality is INTJ and I’m currently attending high school as a junior and later planning to attend university with a major in Creative Writing. As far as 07th Expansion series go, I’ve been a fan for a long time yet I’m not that well versed. In Umineko, I have read episodes 1-4 of the VN and volumes 1-9 of the manga. In Higurashi I have watched up to Himatsubushi in the anime and read up to Tatarigoroshi in the VN. I’ve also completed the first few chapters of the Higanbana VN and a couple of chapters of the Iwaihime manga. My very first 07th Expansion series was Umineko, which I found at a very early age on YouTube via a clip of the anime from Alliance of the Golden Witch. It was one of the more violent scenes (you can probably guess just from that) and I thought the concept of witches and magic was so cool. Sadly, I had forgotten the name of it and for many years afterward and I had only found out about it again in Junior High. I’m hoping to be able to finish Umineko fully when Chiru comes out on Steam, then I’ll be able to say that I’m a full-fledged Umineko Veteran! I found the Rokkenjima Forum site through one of my good friends that has really gotten me back into 07th Expansion works (as well as recommending Higanbana and Iwaihime), @AMF. I really love how this site has a no non-tagged spoiler policy, which I wish I would’ve found before I was spoiled majorly on plot points in Umineko and Higurashi via YouTube comments. Some of my interests include reading and writing (I would link my Wattpad but I’m not sure if it’s okay, so if you want it you might just have to PM me), as well as marching band. I enjoy many types of music as well as other kinds of manga though I don’t typically watch anime that much anymore. I also enjoy random trivia about books and movies so I might just be found in the Off-Topic section of this forum, haha. That’s about it for my introduction, I’m looking forward to meeting you all! Hello @Illusionist! Welcome to Rokkenjima! It’s so nice to meet so many new faces in one day! Thanks for bringing a friend with you, @AMF! We really do love new people here! I’m really excited about all the things you newbies will bring to the table! What I recommend for you is post your thoughts in the spoiler free topics for Umineko and Higurashi! That way you can attempt to solve the mysteries of Oyashiro-sama and Beatrice with other detectives by your side! Good luck solving the mystery, kyahahaha~ You can also catch up on the past tea parties by listening to our lovely podcasts (which you can help host)! Our next tea party will likely be on Higanbana, so I recommend reading the rest of Higanbana along with the rest of Rokkenjima by your side once that tea party officially starts! It is so much more fun to experience these stories with others by your side. The same goes for the rest of Higurashi and Umineko too! If you can, please wait to read these with everyone else, that way your experience is even more complete. We are reading along with the Steam rereleases anyway, so I really hope you are willing to wait! Believe me when I say it’s worth it! In the meantime, you can check out the other 07th Expansion stuff like Iwaihime (which it sounds like you’ve already started! ), Rose Guns Days, Hotarubi, and TRianThology! Since you’re so interested in writing, you might be interested in checking out the literary bar! It’s the magical gathering place for all of Rokkenjima’s writers! You can also show off that Umineko manga collection, talk about music, talk about your hobbies, talk about your favorite books, talk about your favorite movies, talk about animated movies, talk about mystery novels, you can even share your pets! Thank you for being so welcoming! It would be awesome if you could join us for future choruses! And if you have any 07th covers you feel like sharing, you can do so in this topic here! Thank you! I’ll be sure to keep an eye out for that. Hi everyone, my nickname is Butcher, I live in Portugal and I’m 17. I consider myself a pretty recent 07th Expansion fan, so far I watched the first season of the Higurashi anime but wasn’t really satisfied so I read the first Arc of the novel, also so far I’ve read Eps. 1-5 of Umineko and so far I’m loving it. I found Rokkenjima when I was searching for some news regarding the Golden Fantasia english release and I really liked all the news so I decided to keep checking the forum. Outside of 7th Expansion, I really like rhythm games, mystery games and JRPGs. Nice to meet everyone! Welcome! Hope you like it here! What rhythm games do you play? I like to play Osu sometimes. Thanks a lot man. I usually play Osu and K-shoot mania on PC/Dinamix and Cytus on mobile, my name is ButcherG if you want to add me on Osu! Hi again, @Butcher! Welcome to Rokkenjima! I’m really glad decided to introduce yourself! Probably the best way to get involved around here is to check out our tea parties! Tea parties are basically our giant book clubs, where all read an 07th Expansion VN together! We are reading along with the Steam rereleases of Higurashi and Umineko, so I recommend reading along with us. I know it’s asking a lot to wait, but trust me when I tell you that the experience is so much better when you have others to read alongside you! You can catch up on all of the theories that people have created! For Higurashi, this is on an arc per arc basis. Since you’ve only read the first arc so far, I recommend checking out the spoiler free thread for that arc! Alternatively you can listen to our podcasts (which you can also help host) on all of Keiichi’s magical adventures in Onikakushi! These spoiler free threads also exist for Umineko! Since we are following along with the Steam rereleases, we’ve only covered episodes 1-4 thus far! That said, there are still some really cool theories in both the spoiler free threads and the podcasts! Umineko becomes a lot easier to piece together when you have other detectives at your side! 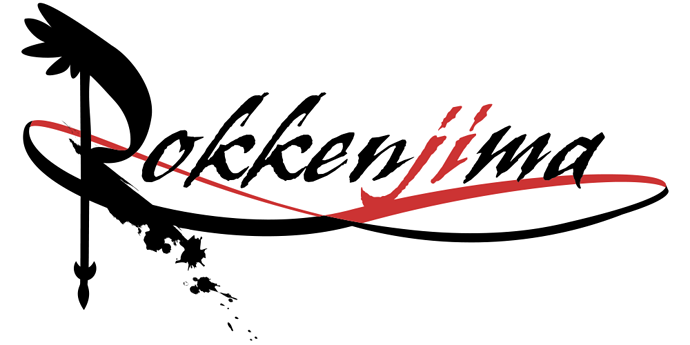 We are taking a little bit of a break from our tea parties at the moment, so now is a great time to catch up on all the theories and podcasts Rokkenjima has to offer! You can also catch up on all the latest news we know on Golden Fantasia and the next WTC! Of course, there’s also a lot of other fun stuff to do here on the forum! There are threads all about gaming, pets, books, cooking, writing, movies, hobbies, even sleeping! There’s a little bit of everything for everyone, so I’m sure you’ll find a way to make some friends over some mutual interests! I really hope you wait to read the rest of Chiru with Rokkenjima. As I said, the Umineko (and Higurashi) experience becomes even more complete when you have others to theorize with! In the mean time, read Higurashi! I know you watched part of the anime, but I can tell you as someone who’s both read the VN and watched the anime that the VN is much better! It’s nice to meet you too! I’m certain you’re going to make a lot of friends while you are here! I really hope you enjoy your stay on Rokkenjima! Thank you! I’m really glad I joined , everyone seems really nice and this place seems awesome for everyone who is interested in the series. I have not heard of this in a looooong time. How is it and can you describe it to someone who plays osu and GH games as their rhythm things?